Welcome to Macro Flowers Saturday! I hope you all had an interesting Halloween and a beautiful all Saint's Day, this past week. There are a few more weeks left till the winter holidays and soon we can start decorating our blog for the holiday season. If you are interested, check out my tutorial about decorating your blog; you can even find a button there, that does all the decoration by itself. Till than, these are the last Brugmansia flowers photographed this autumn in the church yard. See also its close relative, the Datura. Both are also known as Angel's trumpets. Some tradition and customs are essentially the same around the world but some differ from nation to nation. I thought it would be interesting to share some decorating ideas and also some traditional or personal recipes, in the time left till the holidays. I welcome all of you to be a quest publisher on my main blog with articles about the above mentioned subjects. You write your post about your chosen subject, table decorations, gifts, craft, greeting cards and you provide some amazing pictures too (they can be from your archive as well) and send me a draft to check it out. Christmas cookie recipes, your favorite food and drink recipes, whatever you find suitable for the holidays and want to share it, are all welcome. It will be published as a quest post on the weekend chosen by you, on my main blog. you may gain some extra friends. It's not much but still something and after all it's about interacting in holiday spirit. I'm open to any suggestions and questions. We can start out right next weekend (Saturday or even Friday afternoon) if someone is willing to brake the ice. Click this envelope to the right to announce your participation! Note: you may not publish this article elsewhere in the same form, for not to be considered as duplicate content. A beautiful weekend to you all! 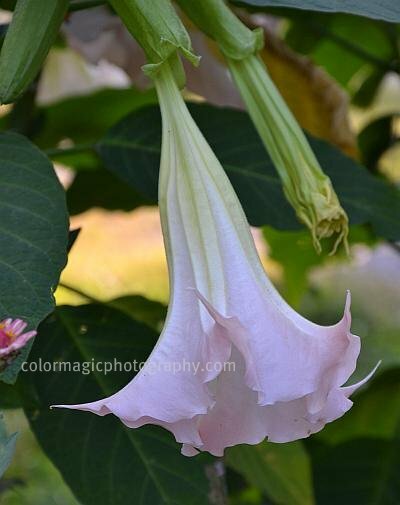 Maia, I just love your brugmansia. In my experience they are very hard to photograph. You have accomplished getting their gracefulness and delicacy to come across so well. beautiful! i have seen brugmansia around here but it's not very common. have a great weekend! Que lindas. Parecem sinos de natal! Please let me know in a comment if you have problems inserting your link. I am still in the process of finding my flowers this week. I will post about maybe later. Yours is simply beautiful! Maia, this looks like a really neat idea. I'll be very interested to see how it works out. I'm not that much for holiday decor, so I'll probably not participate, but I bet lots will. Have fun with it! is this also called angel's trumpet? The Brugmansia flowers are so beautiful. I have seen a few varieties around town but most are on private property so I can't get any good shots. I like your idea of the guest post but I'm not much into decor or cooking. Let me think about it for a bit. 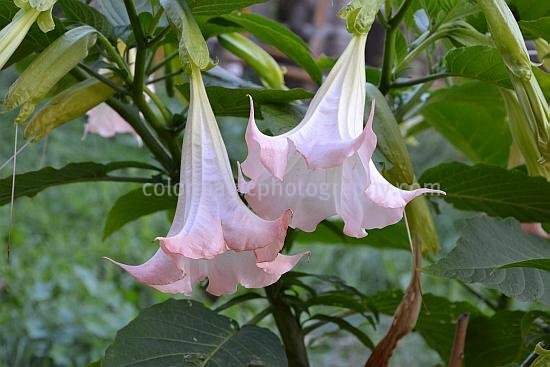 Yes Ann, they are known as Angel's Trumpets too but this name is shared with the closely related genus Datura. These flowers do resemble trumpets! Gorgeous photos Maia.